Their natural forms reflecting the landscapes they come from. 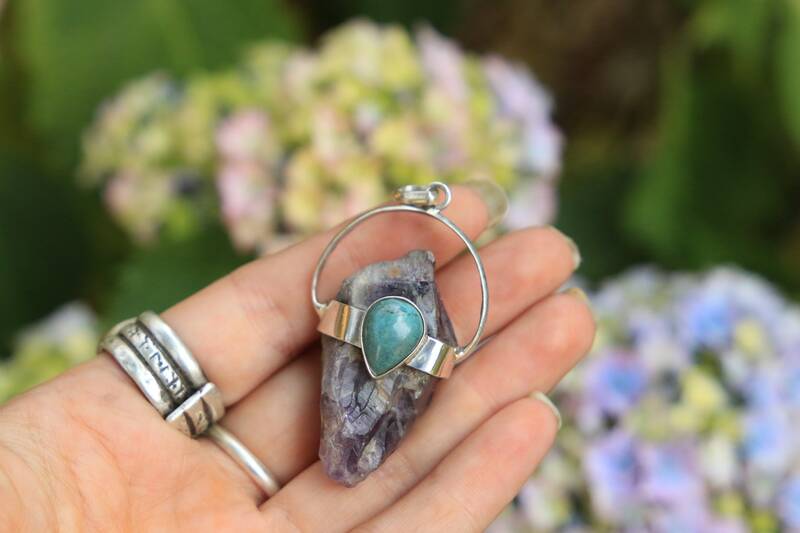 Using a rustic Amethyst crystal and mini teardrop turquoise gemstone we sourced on our adventures in India, we've handmade this unique Sterling silver statement necklace for you to treasure. 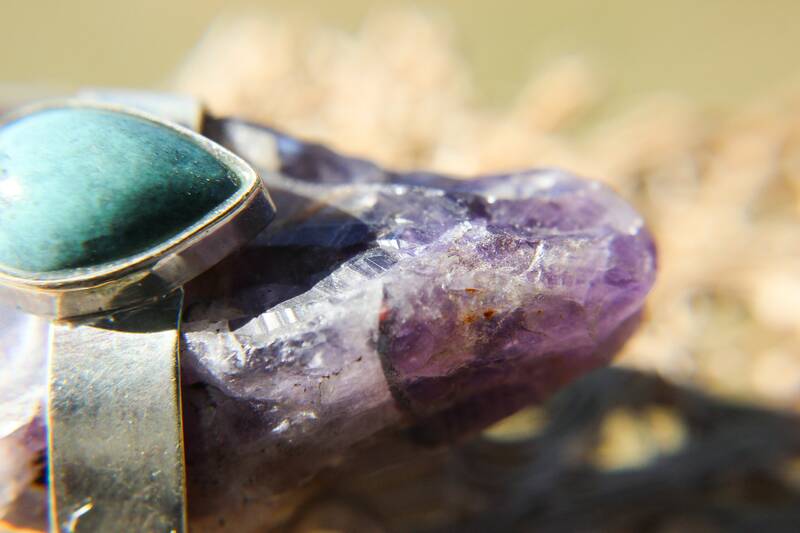 Amethyst and Turquoise work well together and enhance each others mystical properties. Raw crystals are believed to have more power than their polished counterparts as it is said they withhold more of their natural energies. 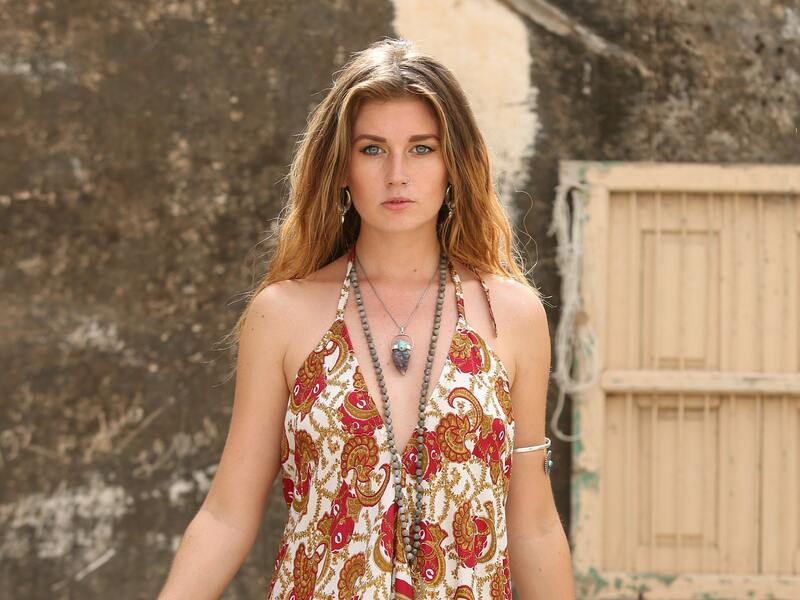 Because of the nature of the crystals we use, each necklace is totally unique and we only have one of each piece and we only make a handful of each design. 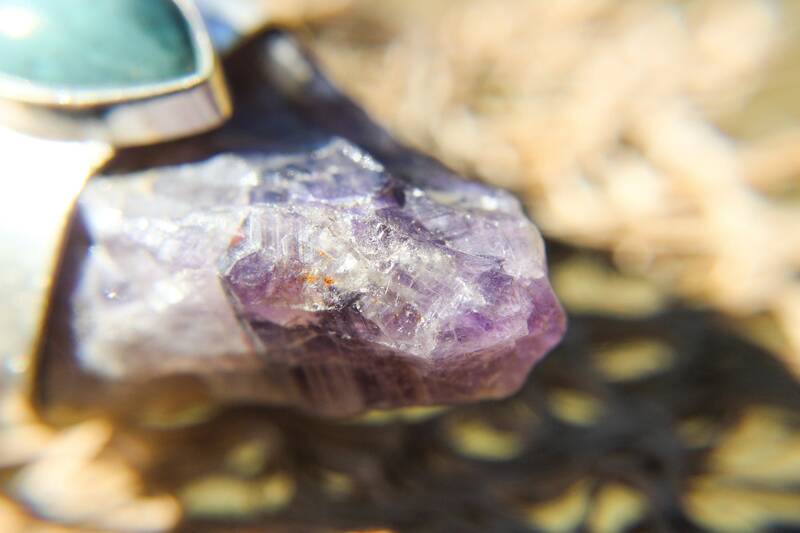 Amethyst is a meditative stone used to balance and calm. 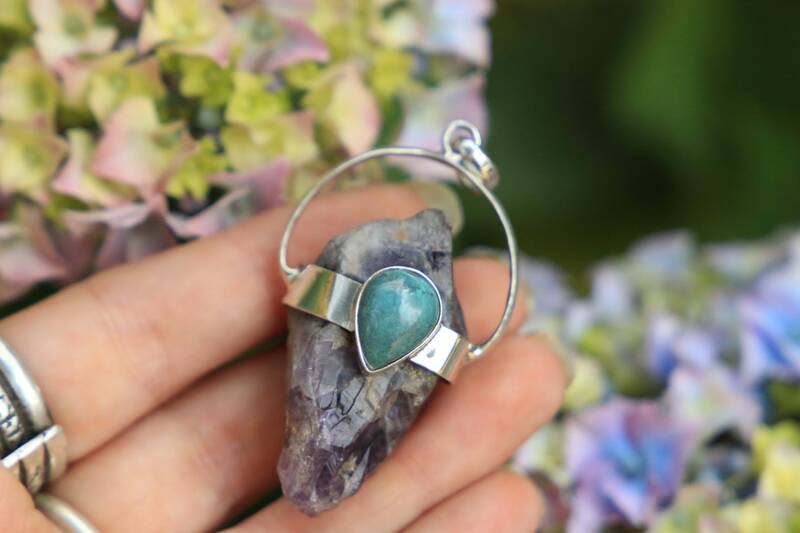 It promotes peacefulness and contentment, It helps to diffuse difficult situations and dispel negative energies, it is an all round great healer and powerful stone! It is also the birthstone of February. Beautiful necklace! Thank you so much!